Boo! 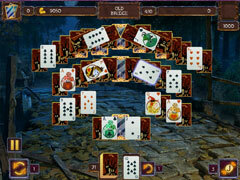 120 new Halloween-themed solitaire levels! No tricks! 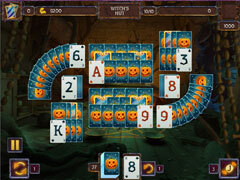 Solitaire Game Halloween features 12 mystical locations, 120 levels accompanied by funny Halloween-themed music and supremely entertaining gameplay. 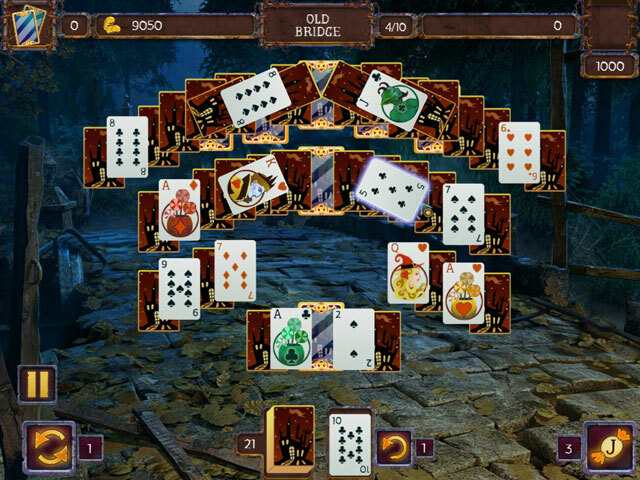 Make chains of cards, use bonuses, and perform various combos to get real Halloween treats! 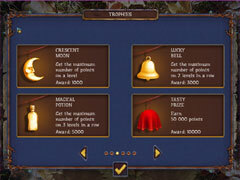 For the more daring players there are many special achievements and trophies. The ability to tailor the game’s difficulty means new players and solitaire masters alike will find themselves entertained. Trick or treat! Enjoy new hands in our special holiday solitaire! -An entertaining solitaire game for new players and experts alike!